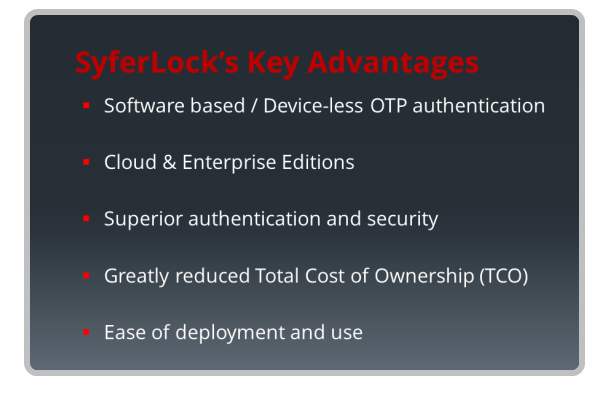 SyferLock's innovative token-less solutions deliver two-factor and multi-factor authentication utilizing patented software-based grids to convert static passwords/PINs into secure one-time passwords/PINs (OTPs). 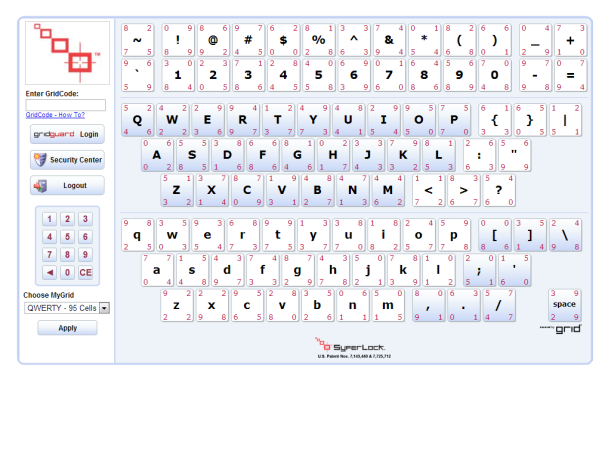 Grid2Form™ - A browser-based, zero client deployment model that requires both the enterprise user registry password and a GridPIN™ for secure multi-factor authentication. Our simplest and most popular deployment model, Grid2Form™ is the strongest browser-based authentication solution on the market. 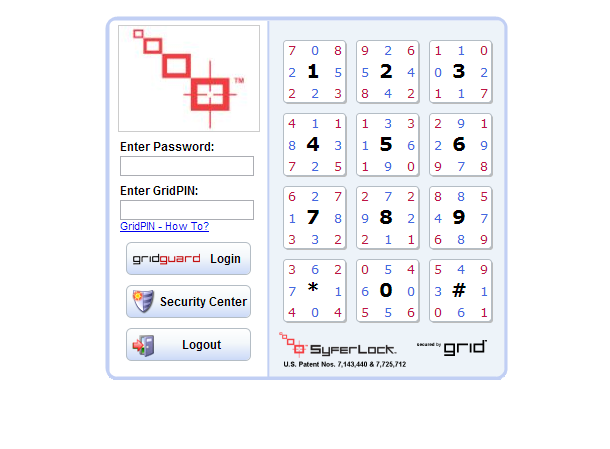 GridAdvanced™ - Our advanced multi-factor authentication deployment model is a browser-based, zero client footprint solution for those who want to strengthen their enterprise user registry passwords without layering on additional passwords or PINs. 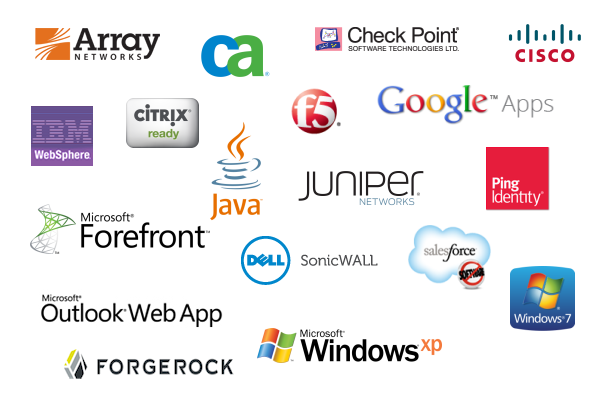 A sampling of major platforms the GridGuard™ platform has been integrated with. For a full listing of compatible platforms, click on the link below. 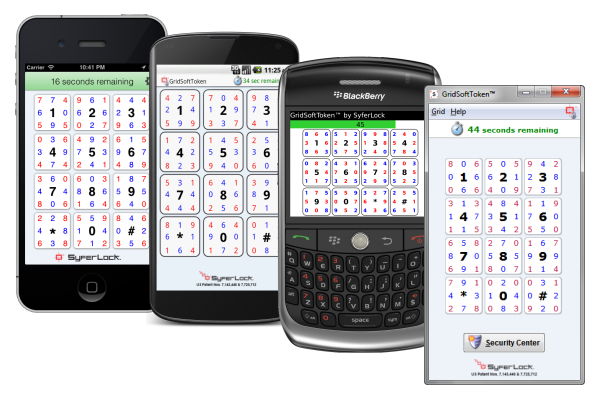 GridSoftToken™ - SyferLock's strict two-factor authentication solution enables users to leverage their existing computer, laptop or smartphone as the 2nd factor for authentication.